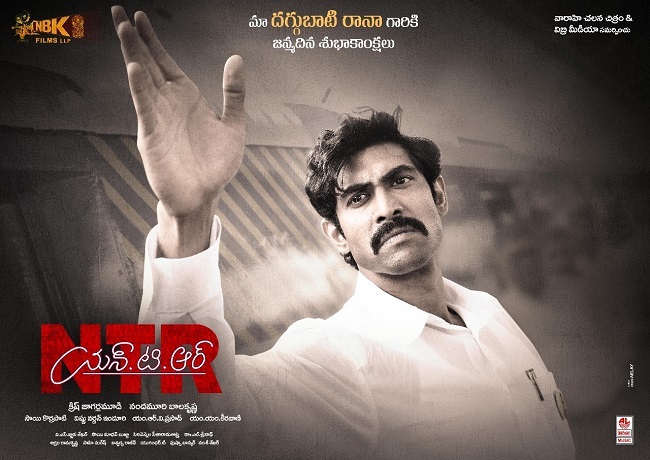 Chandrababu Naidu look of Rana Daggubati from NTR biopic has been unveiled on the eve of birthday. Rana can be seen as young Chandrababu in his political attire wearing ‘NTR’ badge on his pocket. Rana sports retro style moustache and hair style. Apparently, Rana will appear in second part titled NTR Mahanayakudu focusing on NTR’s political life. Krish Jagarlamudi is directing this prestigious film set to release in January. Keeravani composed two songs have embraced by music lovers. Previous article2018 IMDB టాప్ 10 ఇండియ‌న్ సినిమాలివే.. ఉనికి చాటిన టాలీవుడ్..